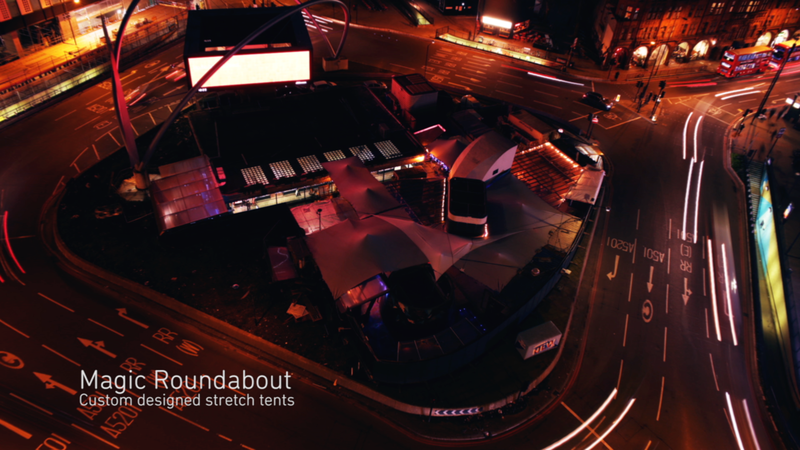 Intent Productions are a team of stretch tent experts. They deal with all areas of the industry from small pop-up events in beer gardens to full blown sponsored corporate events and festivals. 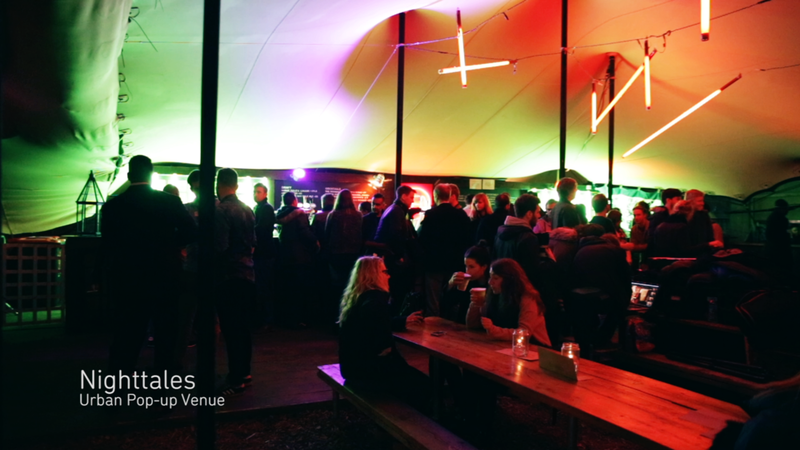 The are on the go all year round and in the winter one of their main source of business are the various pop-up events you find all over East London in the festive season. They wanted to produce a promo for that side of their business and gave me a list of some of their favourites. Over the course of a couple of months I visited all of the locations on the list with a camera, as well as going to one of the builds to get some footage of the Intent team hard at work. They wanted to emphasise that all of these venues were within a certain area of London, drawing on their network of clients in this region so I designed a map that reflected their brand as well as giving the geographical info they wanted to get across.